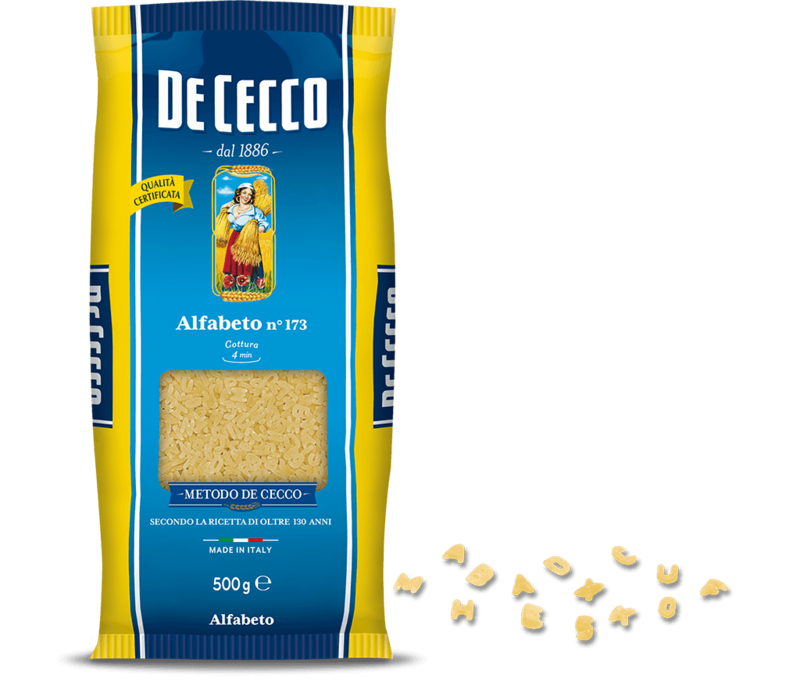 Alfabeto (alphabet) belongs to the minute pasta family to be cooked in broth. This pasta was undoubtedly invented to stimulate the imagination of children who commonly eat this pasta in baby food and vegetable soups and give them their first introduction to the idea of reading. It is especially good for preparing clear soups such as broths or consommé, enhanced with croutons or vegetables cut in julienne strips. This pasta can be used in thick creamy or velvety soups. Casareccia is originally from Sicily, but is also characteristic of other southern Italian regions. This pasta is shaped like a small, smooth piece of parchment, rolled up and folded in at the top. The name conjures up its bygone home-made origins, an interpretation of the Arab-style "pasta busiata" obtained with the thin stem of a plant around which pieces of dough were at one time wrapped. Casareccia is very good with classic ragù, although the smooth, slightly porous surface is also ideal for capturing all types of sauces, from traditional ones to even the simplest of sauces.